Bluebird can be loaded via Vanilla Reloads, cash reloads at Walmart, checking accounts, and debit cards. Vanilla Reloads and cash reloads have a $1,000 daily load limit and $5,000 monthly load limit which is great for manufactured spending. However, wouldn’t it be nice to add another $1,000 worth of MS to Bluebird every month? That’s where debit card loads come in. Debit card loads are very convenient since you don’t need to go to a store and they don’t cost you anything. 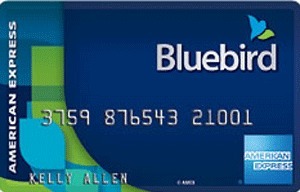 The only catch is you have to find a debit card that can be loaded to Bluebird. American Express requires that the debit card you use to load Bluebird is actually a debit card, so gift cards do not work. I was able to load 2 – $100 gift cards onto my Bluebird account before I was shut down, however my wife was only able to load 1 – $100 gift card onto her account before being shut down. You will get shut down very fast trying to load gift cards, so don’t even bother. It’s not worth the 10 minute phone call. Soon, after I got my Bluebird account I signed up for Visa Buxx which I thought would work great for loading Bluebird. I was wrong. 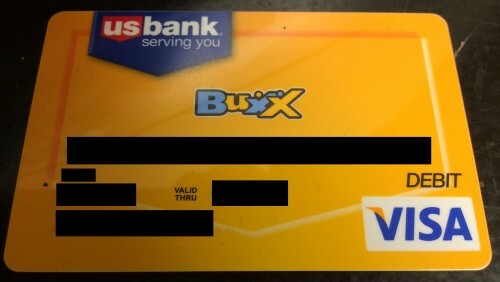 I tried adding my Visa Buxx card and my account was immediately flagged, before I even tried to load $100. I then had to sit through another pointless phone call where I was told that Bluebird is only loadable with a debit card that has a checking account attached to it. Paypal Prepaid was my next experiment, since it could be reloaded by a VRC. I did not expect it to work since it is a prepaid card, however for the sake of my blog I tried to load Bluebird with it anyway. Again, I got an error and had to make ANOTHER phone call into Bluebird. I was not able to make a single debit card load with this card either. As a side note, I would suggest staying away from this card, because it has a $4.95 monthly fee. The next option was the Paypal Business Mastercard, which is not a prepaid card. I heard reports of this card working, so I figured this would be the ticket to loading Bluebird successfully and it was. My account was flagged when I first tried to use this card, however, the Bluebird call went a lot better this time. They simply needed to call Paypal, with me on the line, to verify that the card was in my name. After we did that, my Paypal card was ready to go. The best part about it, is that I earn 1% cash back on every $100 load. After my success with the Paypal Business Mastercard, I decided to try a few more actual debit cards just to make sure they worked with Bluebird. Based on the table above, you can see that Discover Checking, Capital One 360, and Lake Michigan Credit Union all work to load Bluebird via debit. Discover Checking also earns $0.10 on every Bluebird load, so if you cannot get your hands on a Paypal Business Mastercard that might be the next best thing. I have not tried to Serve with a debit card, but I would assume that the same debit cards that work with Bluebird would work with Serve. However, I don’t know why you would load Serve with a debit card since you can load it with a credit card. Online debit card loads are limited to $100/day and $1,000/month for Bluebird. The same rule applies to Serve, though debit card and credit card loads are both part of the limit. Have you found any other debit cards that work with Bluebird?